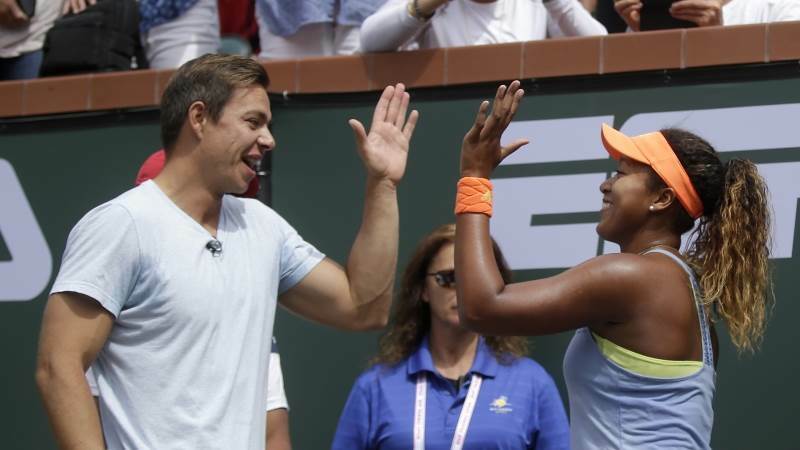 World number one Naomi Osaka has unexpectedly parted ways with coach Sascha Bajin just two weeks after winning the Australian Open. “Hey everyone, I will no longer be working together with Sascha. I thank him for his work and wish him all the best in the future,” the Japanese 21-year-old wrote on Twitter. Osaka, who was ranked just 72 in the world at the beginning of last year, seized the number one spot in January after winning her second consecutive grand slam title in Melbourne. No reason was given for the split and Bajin’s departure from her team came as a shock to the tennis world. He joined her team only at the end of 2017 and appeared to immediately boost her game. She won her first WTA title in March at the BNP Paribas Open and her first grand slam title at the US Open in September, when she defeated Serena Williams.